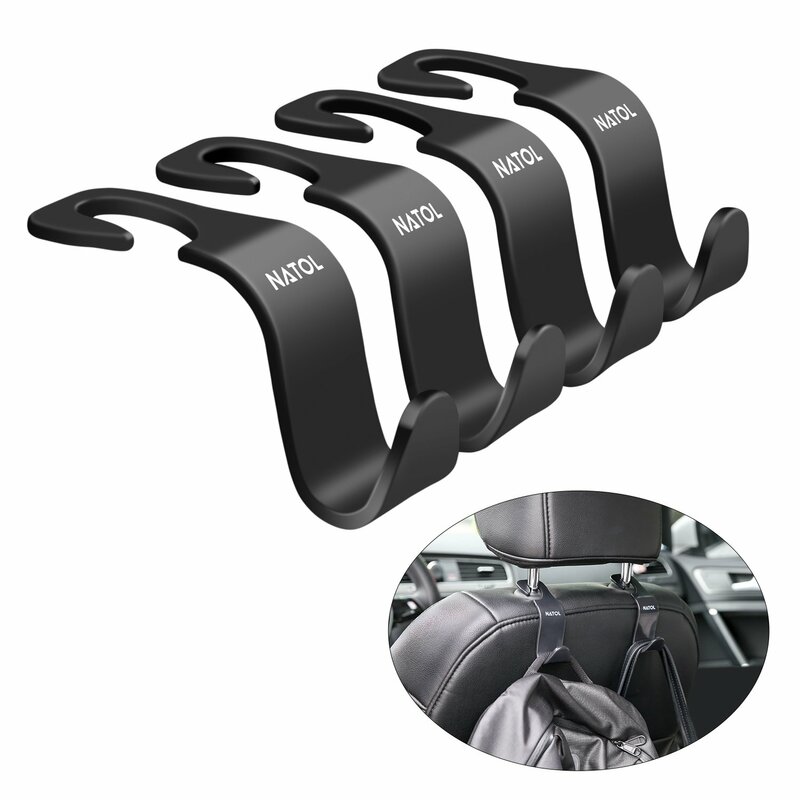 So you have been shopping but have something delicate in your bag no problem , I have found just the thing car headrest hooks, you just hook them to the back of the head rest and the become hooks in the passenger seats not interfearing the front seats , I have lost count of the times ive bought something and got back to the car and realised i don't have enough space because I wanted the dogs to come with us and the kids , so everything gets chucked in the back on top of everyone or by there feet and then the moaning starts and lasts all the way back , while all the time you are praying the feet don't stamp on it , breaking it in to tiny pieces and the journey seems like forever . 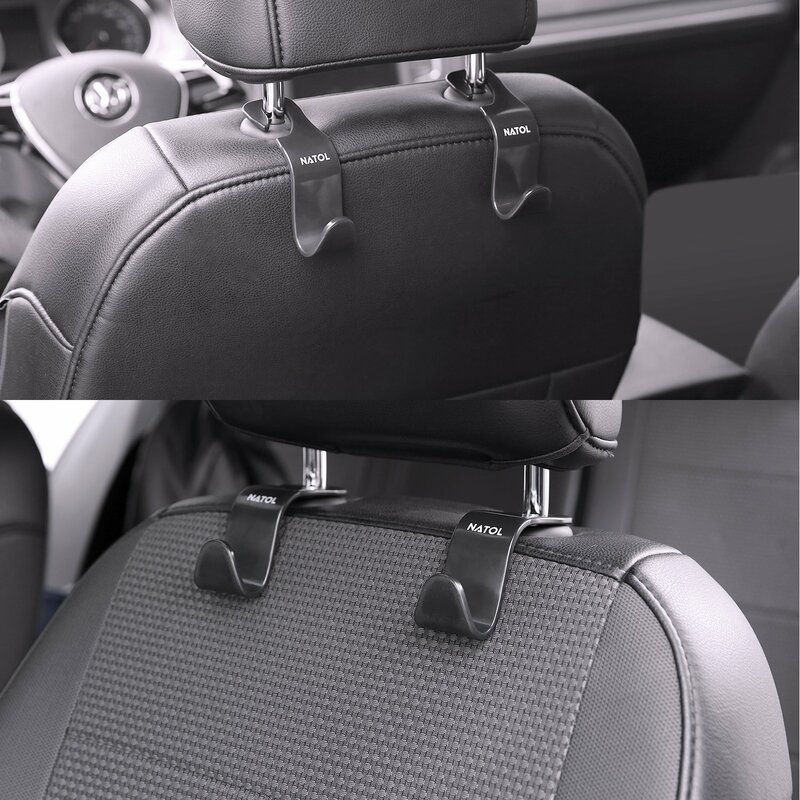 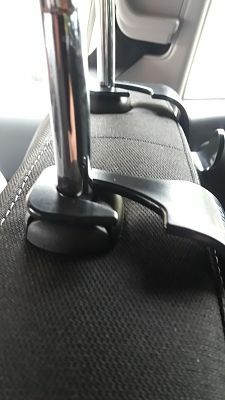 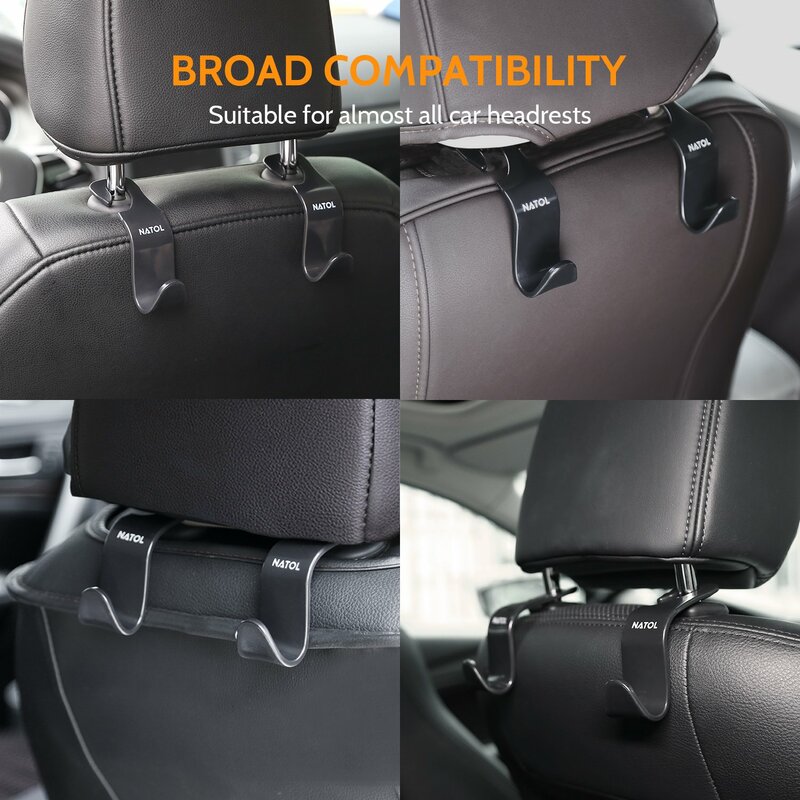 Well with a car headrest hook after its hooked on , you can hang just about anything on them from coats and jumpers to shopping bags and school bags , giving you back the precious space and peace and quiet as the kids have there feet room back . 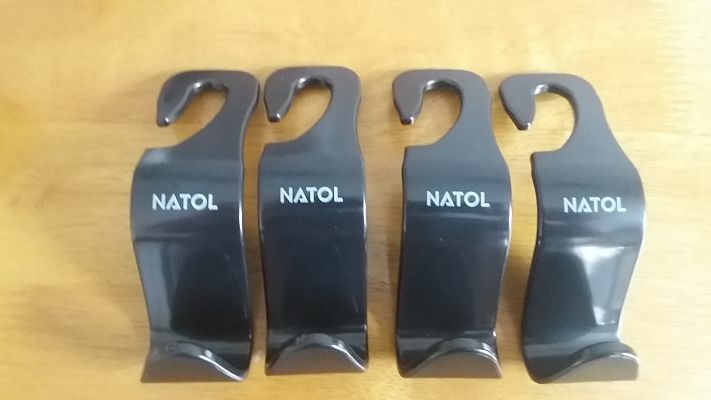 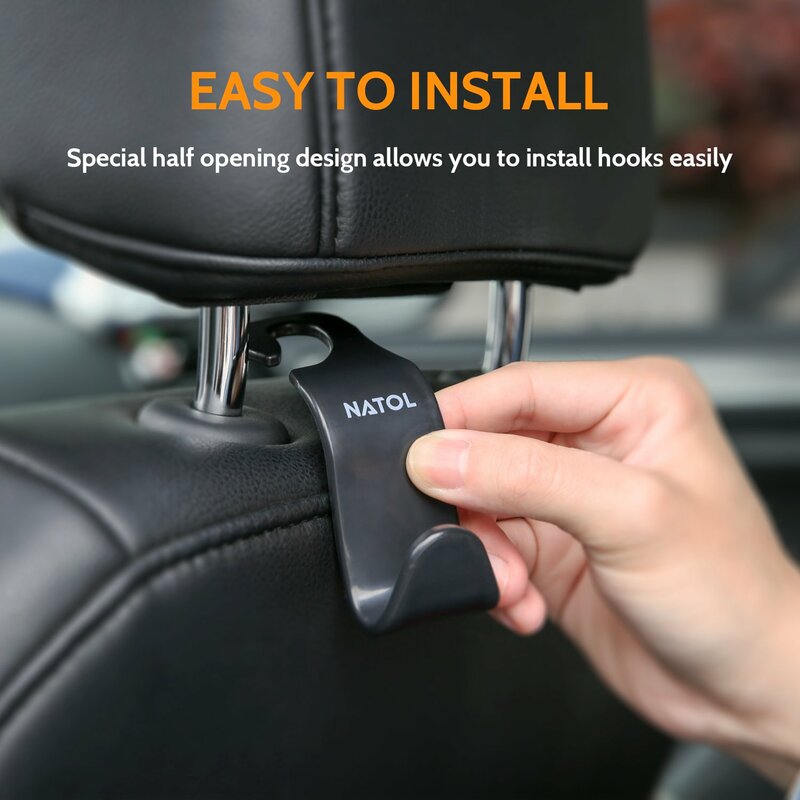 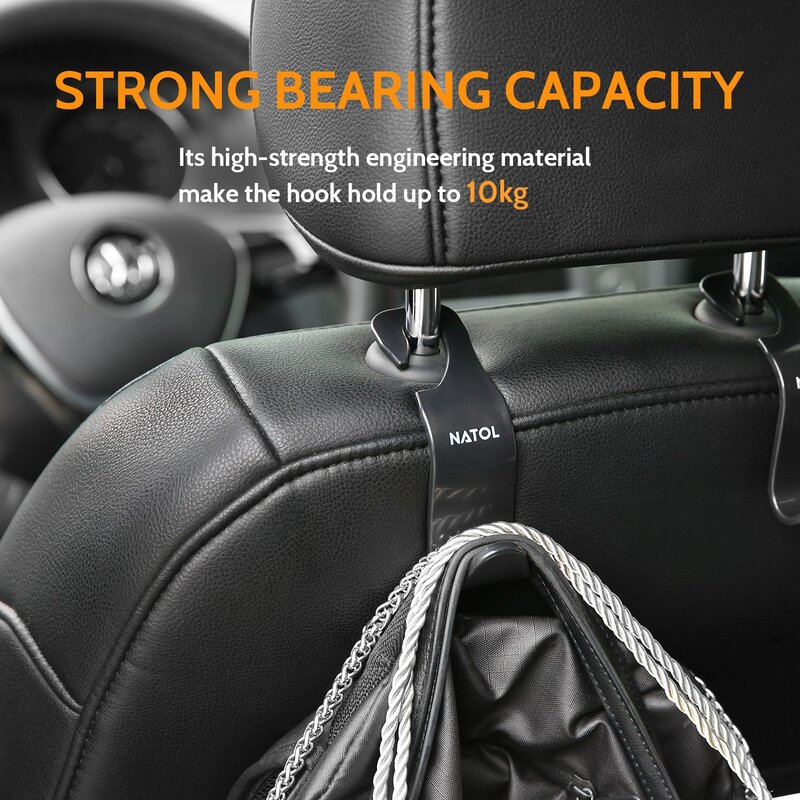 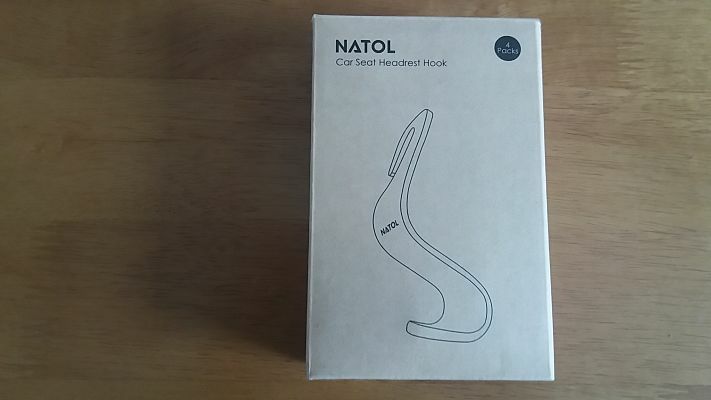 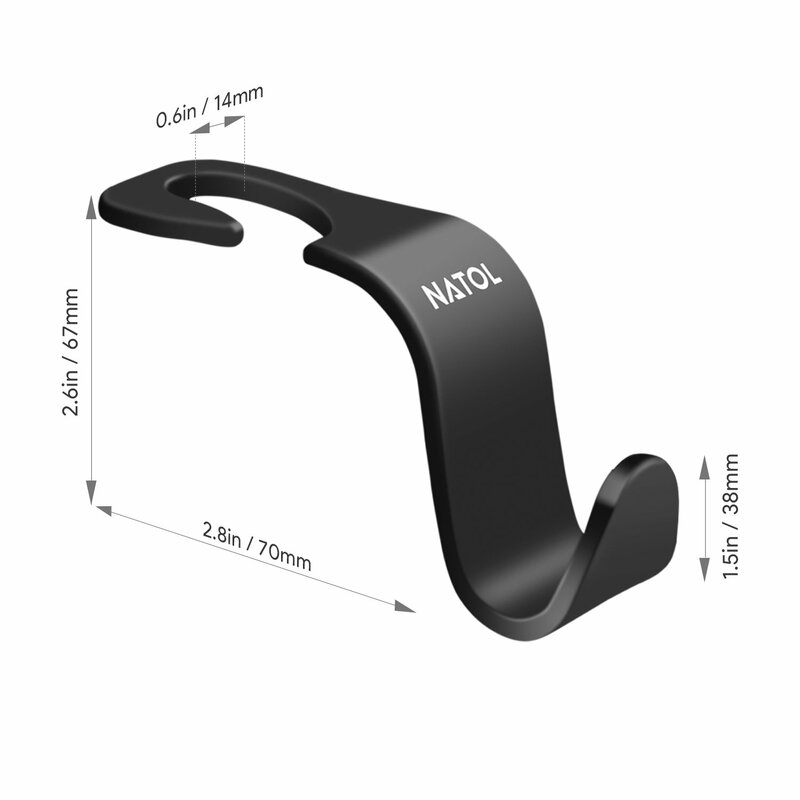 The NATOL car seat storage hooks can hold easily up to 22lb/10kg they measure 113 x 60 x 36mm / 4.4" x 2.4" x 1.4" are black and come in a pack of 4. 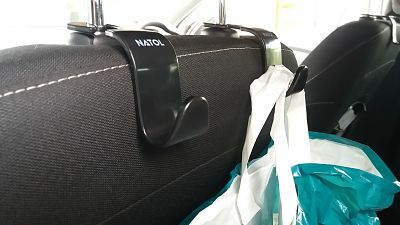 They have saved me so much space , especially on the dreaded school run when having the kids and there friends over , so many bags , and now i have somewhere to put them.